Helping you find that perfect cloth diaper is important to us - try one of our exclusive Lagoon Baby Cloth Diaper Sampler Packages. Select from popular brands including GroVia, AppleCheeks, AMP, Blueberry, Rumparooz and many more, at a great price! Visit Lagoon Baby for all of your cloth diapering needs! We carry a wide range of cloth diaper brands and styles and are proud to offer the largest selection of cloth diapers in the Vancouver area, and one of the largest cloth diaper selections in all of Canada! We offer the top brands, including AppleCheeks, AMP cloth diapers, GroVia, bumGenius, Blueberry Diapers, Best Bottom diapers, Thirsties cloth diapers, and Smart Bottoms cloth diapers. Why choose cloth diapers? Cloth diapers can save you money. Cloth diapers are better for the environment. 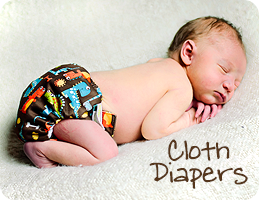 Cloth diapers are gentler on your baby's sensitive skin. Not only do we carry cloth diapers, we also carry all of the accessories you could possibly need to successfully cloth diaper your child from birth to potty learning... including cloth diaper pail liners, wet bags, cloth wipes, cloth diaper friendly diaper creams, cloth diaper sprayers, disposable cloth diaper liners, and cloth diaper fasteners. We're the perfect resource for the busy mom on the go! We also carry a wide range of ergonomic baby carriers from popular brands including Tula, LILLEbaby, Ergobaby, LennyLamb, Beco, Boba, and Chimparoo. From buckled soft-structured carriers to onbu's to ring slings - we've got them. Let us be your online Canadian source for baby wearing. If wearing your baby doesn't always suit your needs, Lagoon Baby has you covered. We're proud to offer a selection of strollers by UPPAbaby, Bugaboo, and Baby Jogger! Lagoon Baby is also proud to offer a selection of diaper bags, including Ju-Ju-Be! These diaper bags are available in a variety of sizes and shapes, giving you the perfect bag to suit your needs and your lifestyle. Lagoon Baby also knows how important it is to be able to easily eat and feed your baby when you're away from home. That's why we offer litterless lunch options, including bento boxes, reusable sandwich bags, reusable straws, and more! Save the environment and eat healthier food on the go with our convenient lunch box options. We also offer the toys to keep your baby entertained and help your child learn. We offer wooden toys ethically made by Janod, Hape, and Holztiger. You can also find a wide array of snuggly stuffies and lovies by JellyCat. We haven't forgotten older children - you can also find amazing Lego building sets in a variety of sizes and difficulty levels! Stop by and shop our clothing section for a wide variety of children's fashions! 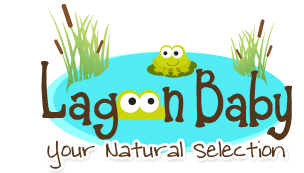 Lagoon Baby features several Canadian made brands that feature delightfully comfortable bamboos and cotton blends. These durable designs will make your little one the most fashionable child on the playground! Don't worry, we haven't forgotten about Mom. We also have accessories for mom, including jewellery, and even some super comfortable bamboo rompers! 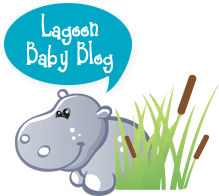 Let Lagoon Baby be your source for your cloth diapering needs, baby toys, children's fashions, and more! Free Pick-Up location at our storefront location in Maple Ridge. We accept PayPal, Visa, Mastercard, Email Money Transfer and American Express (AMEX by phone only or in-store).